Based out of Bergamo, Italy, Nolan Helmets has been designing and manufacturing high-quality lids for the sport and touring markets since the early 70s. 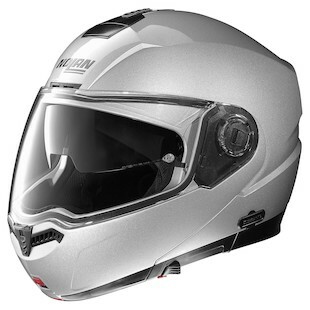 Thanks to their innovation and continual refinement of helmet models, Nolan has captured more than half of the motorcycle helmet market in Europe. The entire life cycle of every Nolan Helmet sees each phase of its development take place at the Nolan facilities in Bergamo, from development and design through final production. The newest helmets in their line are the Nolan N104 (at right), a groundbreaking modular, and the Nolan N85, the first full face offering from Nolan to make it to the US. To see more options similar to those from Nolan, visit our modular helmets page.